Capcom Just Opened a Restaurant in Japan. Again. You might know Capcom for its Street Fighter or Resident Evil games. But the company has, over the years, opened a couple restaurants (here and here, for example). Its latest is a cafe called, wait for it, Capcom Cafe. How ever did they come up with that one? 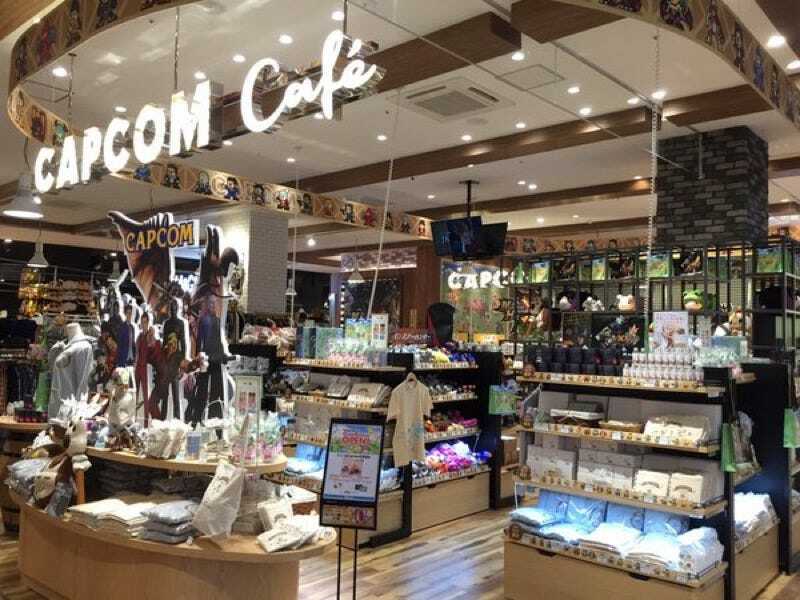 As pointed out by Japanista, the Capcom Cafe opens this week in Saitama, Japan. Besides serving up Capcom-themed food and drinks, there is a little merchandise shop that sells Capcom stuff. “All Capcom”? Shucks, I was hoping to buy Square Enix goods at the Capcom Cafe. Dreams. Crushed. Currently, the Capcom Cafe is serving Monster Hunter-themed food until March 2016. After that? Who knows? Have a look at the photos below via Japanista, Game Impress Watch, and Twitter. Nothing like blue food, huh?